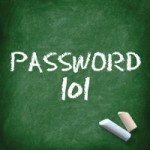 This course will introduce users to what computer and Internet passwords are, and why they are important for Internet safety. Strategies for creating strong, secure passwords will be discussed, in the context of examples of poor passwords that people commonly use. The course will also cover best practices for keeping passwords safe and organized, including using password manager programs and checking the strength of individual passwords.